Is Commercial Metals Company (CMC) Worthy of Your Portfolio? The worries about the election and the ongoing uncertainty about the path of interest-rate increases have been keeping investors on the sidelines. Of course, most hedge funds and other asset managers have been underperforming main stock market indices since the middle of 2015. Interestingly though, smaller-cap stocks registered their best performance relative to the large-capitalization stocks since the end of the June quarter, suggesting that this may be the best time to take a cue from their stock picks. 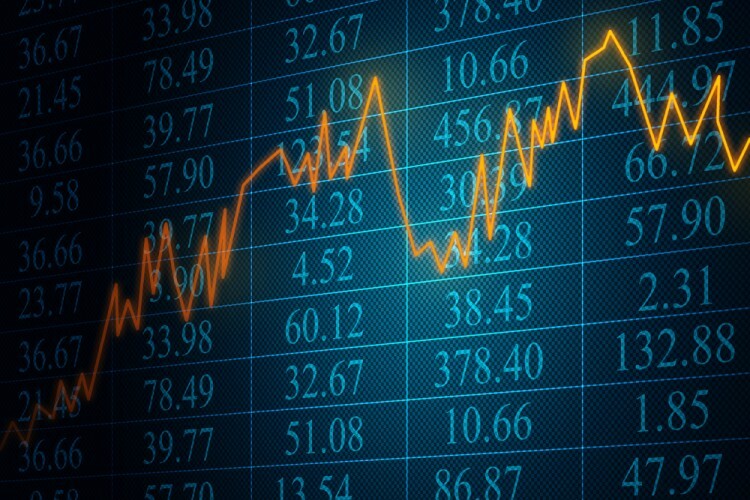 In fact, the Russell 2000 Index gained more than 15% since the beginning of the third quarter, while the Standard and Poor’s 500 benchmark returned less than 6%. This article will lay out and discuss the hedge fund and institutional investor sentiment towards Commercial Metals Company (NYSE:CMC) . Commercial Metals Company (NYSE:CMC) investors should be aware of a decrease in hedge fund sentiment in recent months. CMC was in 16 hedge funds’ portfolios at the end of September, compared to 18 funds tracked by us a quarter earlier. At the end of this article we will also compare CMC to other stocks including Marriott Vacations Worldwide Corp (NYSE:VAC), Simpson Manufacturing Co, Inc. (NYSE:SSD), and American Assets Trust, Inc (NYSE:AAT) to get a better sense of its popularity. With all of this in mind, we’re going to take a glance at the new action surrounding Commercial Metals Company (NYSE:CMC). What does the smart money think about Commercial Metals Company (NYSE:CMC)? At the end of the third quarter, a total of 16 of the hedge funds tracked by Insider Monkey held long positions in this stock, down by 11% over the quarter. 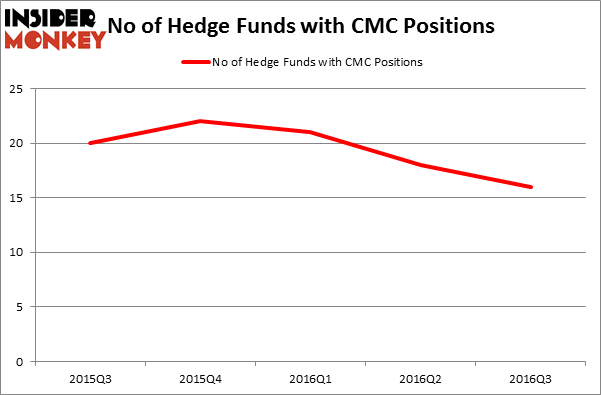 The graph below displays the number of hedge funds with bullish position in CMC over the last five quarters. So, let’s see which hedge funds were among the top holders of the stock and which hedge funds were making big moves. When looking at the institutional investors followed by Insider Monkey, Cliff Asness’ AQR Capital Management holds the largest position in Commercial Metals Company (NYSE:CMC) which has a $72.4 million position in the stock. The second largest stake is held by Peter Rathjens, Bruce Clarke and John Campbell’s Arrowstreet Capital, with a $26.9 million position. Remaining members of the smart money with similar optimism comprise Chuck Royce’s Royce & Associates, John Overdeck and David Siegel’s Two Sigma Advisors and Jim Simons’ Renaissance Technologies. We should note that none of these hedge funds are among our list of the 100 best performing hedge funds which is based on the performance of their 13F long positions in non-microcap stocks. Is Tobira Therapeutics Inc (TBRA) A Good Stock To Buy? Is Cryolife Inc (CRY) A Good Stock To Buy? Is Bottomline Technologies (EPAY) A Good Stock To Buy? Hedge Funds Are Selling Concordia International Corp (CXRX) Is Cohu, Inc. (COHU) A Good Stock To Buy Right Now? Is 2U Inc (TWOU) A Good Stock To Buy?